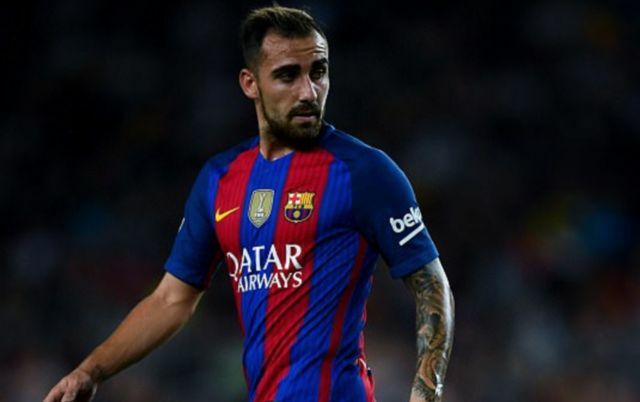 Borussia Dortmund have confirmed the permanent signing of Paco Alcacer from Barcelona on Friday, after a successful loan spell in Germany. According to Reuters, the German giants activated their option to buy the Spanish striker for €28 million, which brings to an end his two-and-a-half-year spell on the books at the Camp Nou. 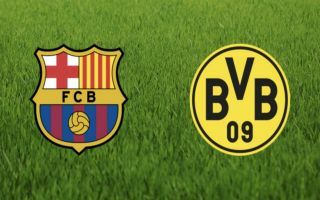 Barca sent the 25-year-old to Dortmund on a season-long loan back in August and he has been a vital part of the team’s success this term, scoring 14 goals in 12 Bundesliga appearances. BVB currently sit top of the German top-flight, six points ahead of Bayern Munich after 19 games and they are also through to the last 16 of the Champions League, with a doubleheader against Premier League side Tottenham to look forward to in the coming weeks. The Spain international managed 15 goals in 50 appearances for Barca across all competitions in total, failing to establish himself as a regular in the first team under Ernesto Valverde. Luis Suarez was always ahead of him as the club’s main striker and that situation was unlikely to change, which is why this latest career move is not only best for his own development but also a shrewd piece of business from Barca. Alcacer has been prolific in Germany and his continued presence in the Dortmund squad will be vital to their chances of major silverware between now and May, with this latest news surely coming as a huge boost to supporters and head coach Lucien Favre. Next up for Dortmund is an away clash against Eintracht Frankfurt on Saturday and Alcacer could be in line for a return to the starting XI, after featuring from the bench during the team’s 5-1 victory against Hannover last week.